The Van Staal VR Series Spinning Reels is an excellent example of the pioneering expertise of Van Staal in the sealed reel industry. With a 6061-T6 aluminum construction, the VR series reels are fully submersible and sealed for exceptional survivability in all conditions. Thanks to its titanium nitride coating and sturdy stainless steel center shaft, this reel can withstand enormous rough handling at the hands of heavy-fishing anglers. This VR series reel features cut-outs in the body, spool, and rotor to save weight and increase operator comfort, allowing you to cast and retrieve for longer. It also comes with a unique, waterproof drag system and MicroClick tuning accuracy that helps achieve delicate settings for optimal performance. The VR reel comes with tools and parts that allows for easy conversion from a bailed reel into a bail-less reel, increasing flexibility and utility. It has a maximum drag weight of approximately 30 pounds, enough to haul in most big fish you will encounter in the wild. If you need a lightweight and reliable reel that won’t suffer from the tempest of the sea, the VR series are an excellent choice. Not only does the reel come with enhanced features, but its sturdy build ensures you have a dependable reel for surfcasting, and rock and boat fishing for many years to come. The VR series sport a 4.8:1 gear ratio and come in four sizes for 20 to 40-pound braid. The VR spinning reel series come in a military-spec design. 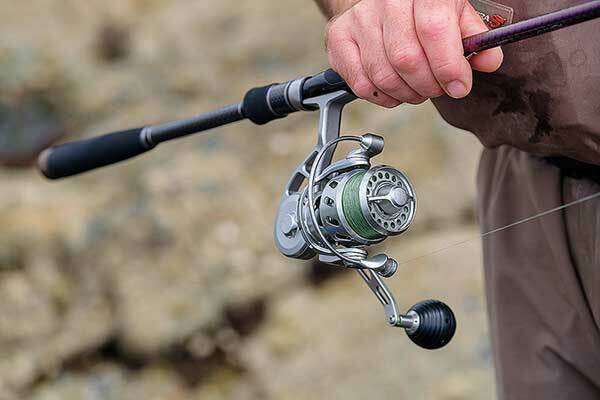 The reel is 100 percent water, sand, and dirt-proof. It can withstand the rigors of boat fishing or rock fishing and handles large pelagic species with gusto. Here are benefits of the VR line of reels. When you have titanium, stainless steel, and fully machined 6061-T6 aluminum in one reel, you know it’s an all-around winner regarding durability. 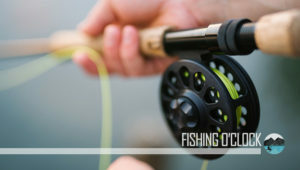 If you like to fish dirty, jumping into muddy creeks or directly in the splash as your boat rushes through the water, this reel is the perfect choice. Its sturdy build ensures the mechanism does not suffer from rust or water damage, and you get to use it for several years with little maintenance. If you need a waterproof and strong reel, the Van Staal VR Series offers value and more for every angler. Thanks to incredible engineering and superb material selection, the VR series reels are some of the most lightweight spinning reels in the industry. The heaviest in the series weighs only 16.5 ounces, making it ideal for extended use. If you want a reel that combines the durability of titanium with the lightweight qualities of stainless steel, no better reel than the high-performance VR series from Van Staal. 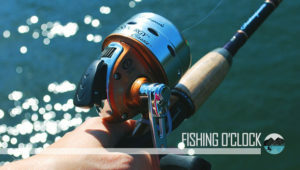 This reel comes with a modular system that enhances functionality and flexibility. You can use it as a bailed or bail-less reel with a conversion kit that comes in the box. With the VR series, you don’t need another reel for multiple fishing applications. The large spool of this reel can handle up to 40 pounds of braid, enough to tackle bigger species that love to dig deeper into the water rather than capitulate. Whether you are fishing in shallow or deep water, you can count on the high line capacity of the VR series to retrieve your catch with less trouble. 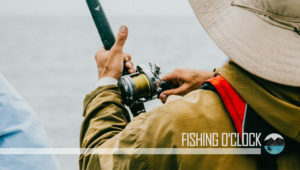 With over 40 pounds of drag, the VR series offer immense power to retrieve large game fish including pelagic species that don’t give up without a fight. If you love deep-water fishing and need a reel that won’t buckle under pressure, this reel is a must in your fishing toolkit. If you know anything about the Van Staal brand, the VR series is a steal. While most of the company’s offers belong to the high-end market, these reels retail under $500, and come in a titanium-coated body for unbeatable durability. What you get when you buy any of the VR series is a bundle of ingenious craftsmanship, innovative engineering and exceptional performance. Some customers have complained about the drag not being the smoothest, considering their experience with other Van Staal spinning reels. However, the sturdy build and drag capacity is one of the best at this price point. So it’s an excellent buy, anyway. The Van Staal VR spinning reel series feature the premium specifications of the famous brand at a medium price range. With a solid titanium center shaft, spiral-bevel drive gear and pinion, and a unique sealed and waterproof drag system, the VR series deliver a professional performance in any situation. 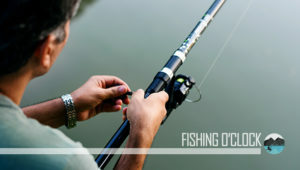 Its durable and lightweight design combined with the large drag capacity makes it an ideal choice for large fish anglers. If you need a reel you can take into the water without fear, the VR series from Van Staal is a perfect choice for every fisher. Whether you are a boat fisher, rock fisher or surf angler, you will find the waterproof and durable design of the VR series a boon to your aquatic passion.